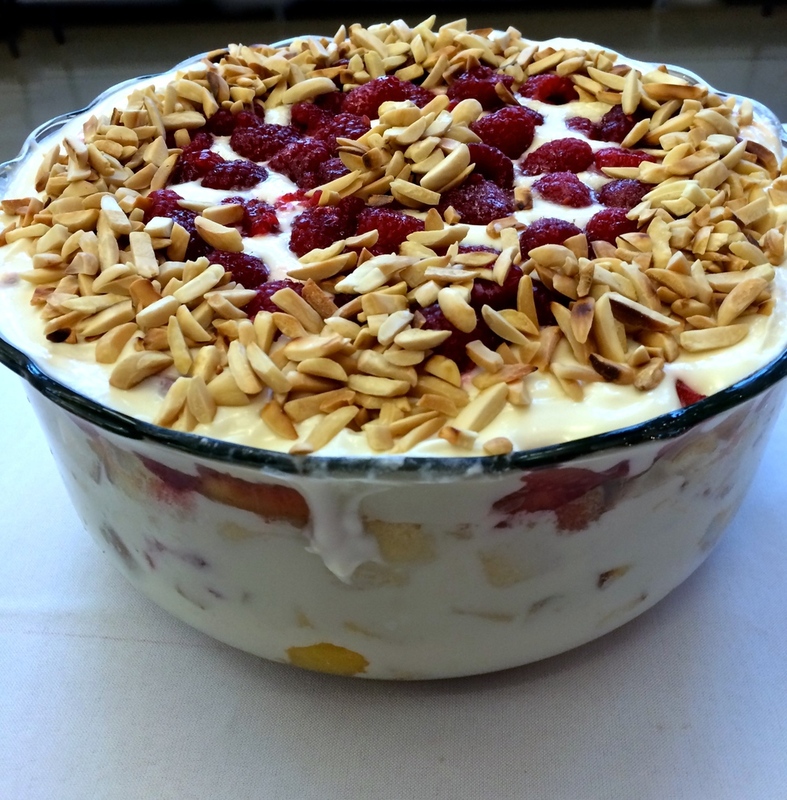 Peaches and raspberries are in full season and delicious in this trifle. No pudding in the white chocolate cream cheese mixture and perfect for a large group gathering. Toss peaches and 1-1/2 pints raspberries with granulated sugar in medium bowl. In large bowl, beat cream cheese, confectioners’ sugar and vanilla for 1-2 minutes. Slowly add cream, mixing at low speed. Gradually increase speed and beat on high until mixture is thick. Line bottom of large glass bowl with cubed pound cake. Sprinkle with Grand Marnier. Top with 1/3 of the mixed fruit and its juice. Add 1/3 cream cheese mixture. Repeat layers twice. Cover and refrigerate at least 4 hours or overnight. Just before serving, top with remaining 1/2 pint raspberries and toasted almonds.